UltraTech™ Multitask, MC502 glove is a tough glove with amazing features. The MC502 features a 2-way hi-vis lime material on the back with an exclusive TPR design that provides excellent coverage for back of hand protection. The G-shaped palm padding with reinforced high abrasion material adds protection and grip. 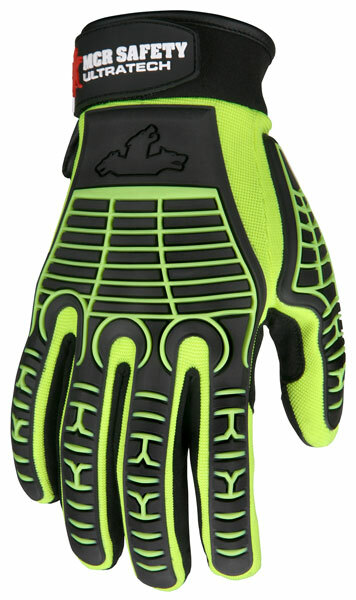 The synthetic leather padded palm also provides light impact and vibration reduction. Other features include reinforced thumb crotch and hook & loop wrist closure. The MC502 also includes an ID panel on the wrist for user personalization.